Russian, Ukrainian & Eastern European Discussion, Travel & Information Forum - Chinese Women: The New Ukraine? Chinese Women: The New Ukraine? Re: Chinese Women: The New Ukraine? When you get to China you are going to see that there are not very many women that you'd see as attractive. begarano, if you read Andrew's posts you'll find he's mostly making stuff up. I'm sure he and Manny (site owner) do it to increase the post count. My ex was from Shanghai. Been to China more than a few times with friends who have business in the country. I started going with my ex to visit her family. Been with friends who have business in China. Mostly in Shanghai and farther south. Never was that impressed with Beijing, hated the pollution. Andrew, with a country of more than 1.3 BILLION people, roughly how many are you talking about when you say "not very many women that you'd see as attractive." Are you thinking maybe 22 or 25 women, 250-300 women, or possibly more? Beijing and Shanghai are megacities - pollution, tons of people, mad traffic - there is life there for sure. I lived out in Henan though and they used to say that Shanghai girls are the bossiest in China? Is that true? I only dated Henan girls and they were great! West Ukraine the wife hunter never pulled a lot of women out of there. Mainly because they grew up learning Ukrainian and English and easily got jobs in the EU. South and East women grew up learning Russian and Ukrainian and not English. So if they want to go West they needed a husband. So a significantly greater number of western Ukrainians speak English versus , southern , central, and eastern Ukraine? for the lack of MOB in western ukraine. That was NOT what kievstar was saying. What he was telling us was that because the women in the west were more likely than their eastern sisters to learn English they were more likely to be able to move westward under their own steam. Women whose education tended to orient them eastward were more likely to need to move westward through marriage because for them it was the easier way to proceed. Without reference to Ukraine specifically, going back many years, that was pretty much my observation too but applied to the FSU as a whole. Having English as a strong language is a great enabler of movement, for example, for younger people it opens the doors to university study in Europe that would not be possible if one's languages did not include English. A person with Russian skills will tend to be forced to study (and work) in Russian speaking areas - or get out by means of marriage. I did ask it as a question to let Kievstar clarify? It's fine you took at shot at it. The theory is of course sound , as someone multilingual in a more universally used language is going to be able to be more mobile and employable elsewhere. It all fits right up to the POINT i was questioning kievstar over. Are western Ukrainian women more likely to learn English (yes if they did so they would be more mobile)than their sisters in Kiev, Odesa, Kharkov, Dnepropetrovsk, Yalta etc.? It may be true, but at this time I'm not buying it. In fact if English level was the main bases, i feel more would be employed from Kiev than most anywhere else combined. While I wouldn't doubt more western Ukrainians work in the EU, the odds are significantly higher that it is due to a large polish ukrainian mix, in the entire area dating back decades.Family and business connections in the region.The fact many people commute back and forth regularly between poland and western ukraine with products/goods,,,and natural connections thru such interaction. There is an ease of doing business , or even tourism, bewteen the two regions not rivaled with other EU countries, and the fundamental reasons for that is not English language levels, but shared borders and often shared ethnic ,business ,cultural and family ties ..
but having lived in the general region, and observing such family and business interactions between cezch rep and western Ukrainian. I'll not take English being more predominant in western Ukraine as being either true,or the main reason ,until something can be shown to support it. While there are ugly women (even in Russia that was the case) there was loads of nice girls in China, like you have said, when the numbers are such - it is a mathematical impossibility for it not to be. Like I said, before I went there, I didn't have much time for that Asian look whereas now - thats all I like! Pollution in Shanghai is bad. IMHO not as bad as Beijing but others disagree. At times it certainly is a madhouse with traffic and congestion. I was surprised by how many foreigners I ran into. Shanghai is full of westerners probably far more than in Moscow and certainly Ukraine. My ex could be quite bossy, very strong willed. Most of the women I met in Shanghai were professionals so being strong willed/bossy was the only way that'd get ahead. Shanghai being the business capital of China and the chase for a good income tends to drive the Chinese in places like Shanghai to be aggressive. KenC's new wife is Chinese. Her name is Ping. He said she is nice, mature and easy going. They are quite a bit closer in age than the his last wife Lena. While I wouldn't doubt more western Ukrainians work in the EU, the odds are significantly higher that it is due to a large polish ukrainian mix, in the entire area dating back decades.Family and business connections in the region. No, it is because the mentality is very different. Ukrainians from that region have always emigrated to the West. Far, far more so than did Ukrainians from the Russian Empire. Western Ukrainians work all over the EU, and even in North America illegally. It is the way it has always been. Westcoast, as you know I do not make stuff up. Why would I? Unlike you I do stuff. Having been to Shanghai, I am able to write as I saw and experienced. Of course there are many attractive women. Hard to imagine otherwise in one of the richest cities in China with a huge and relatively wealthy population. But just as every other place in the world, most women look 'average'. Coz, well, that's how the world is. Westcoast, get out of your armchair, do something with the few years you have ahead of you, don't be the bloke who dies and wishes he had done more with his final years than buy the new Lay Z Boy with the built in fridge. Thank you Halo for the correction. So its mostly mentality, and frankly if its always been that way, then naturally there would be more family and business connections as well. Its not from some higher level of English. My personal take came from,seeing many Ukrainians working in czech rep.(Brno).or Italy, and often from western Ukraine , certainly no higher level of English ,as often they had very little, but knew Italian or Czech obviously. To be fair to Westy, he has told us on other topics of his personal experience in that part of the world. Its great Bejarano has stopped by again, especially with his recent experience, as I am heading to China this year (on business - not women hunting I might add). Always nice to get the opinions of actual travellers. I am away for a day or two from about now, it'd be great if bejarano stuck around as I think the whole China subject is one that will grow legs as tensions in Ukraine rise. 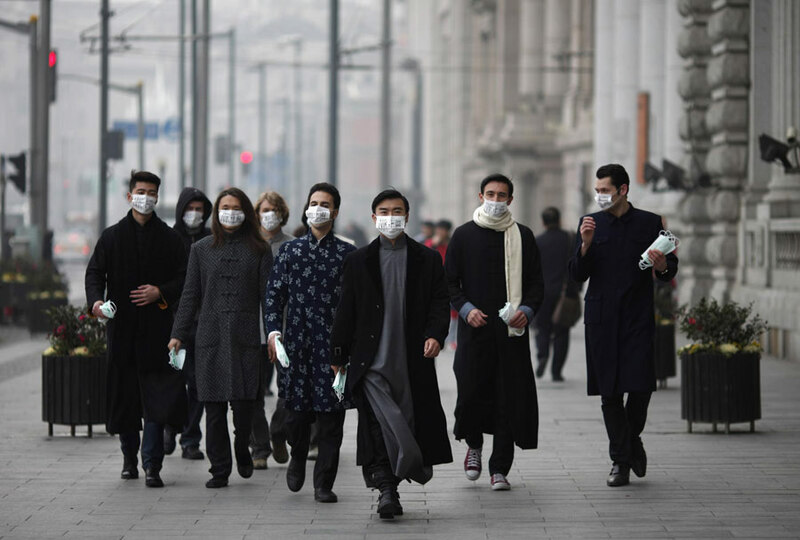 Manny if you do go to China check ahead for the pollution levels in the city you're visiting. Wear a mask if needed, many of the locals do. This is the real time air pollution levels from the US Embassy in Beijing. Don't trust the air pollution info given by the Chinese government, even locals use the info from the US Embassy. Shanghai air quality index.